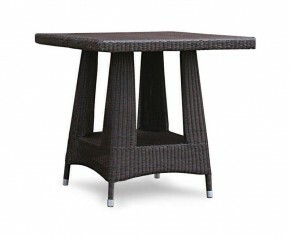 This strong and modern style is lightweight enough to look great in any room, but durable enough to work in an outdoor space as well. 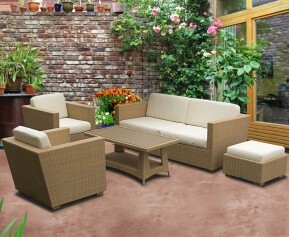 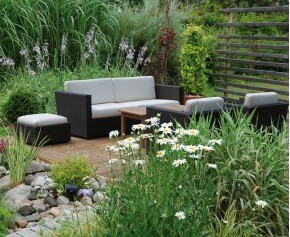 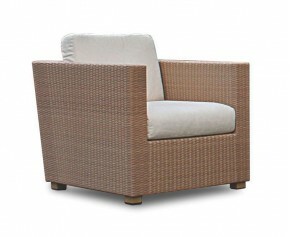 Riviera styles are great for the conservatory as they can easily be brought outside as the weather gets warmer. 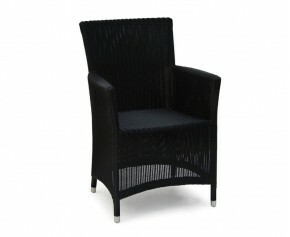 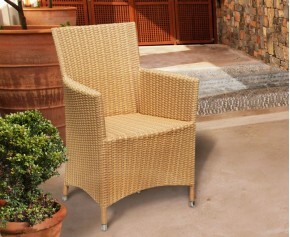 The Riviera range is made up of flat weave woven material, stretched over an aluminium frame for something which is truly light and comfortable, but is also strong and long-lasting. 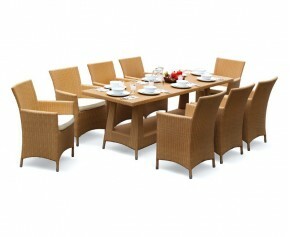 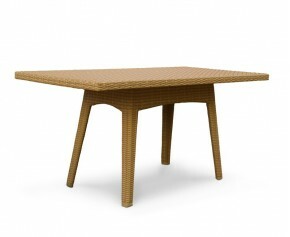 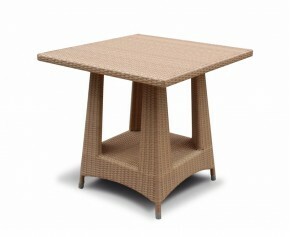 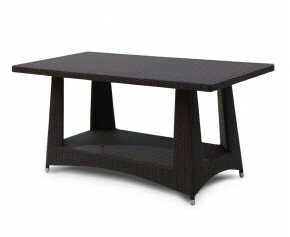 Make a bold statement in your garden with the addition of this poly rattan dining table and chair set.Modestly sized to suit most garden spaces, this poly rattan dining table and chair set has been expertly hand woven with synthetic Rehau wicker over a sturdy aluminium frame and can be left outdoors all year round with minimal maintenance. 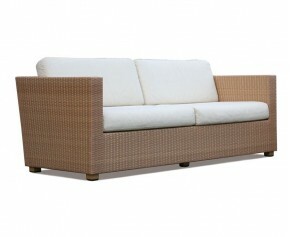 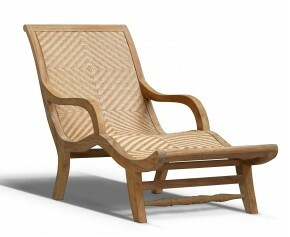 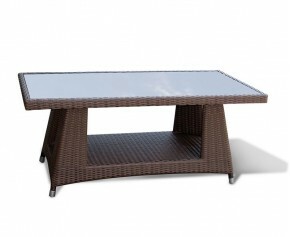 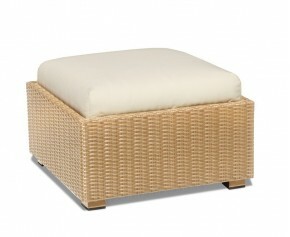 Offering an elegant combination of teak with environmentally sound Rehau wicker, this Riviera rattan and teak sun lounger create a stunning piece of furniture suitable for both indoor or outdoor, be it garden, conservatory or pool.